Need a super easy summertime appetizer? 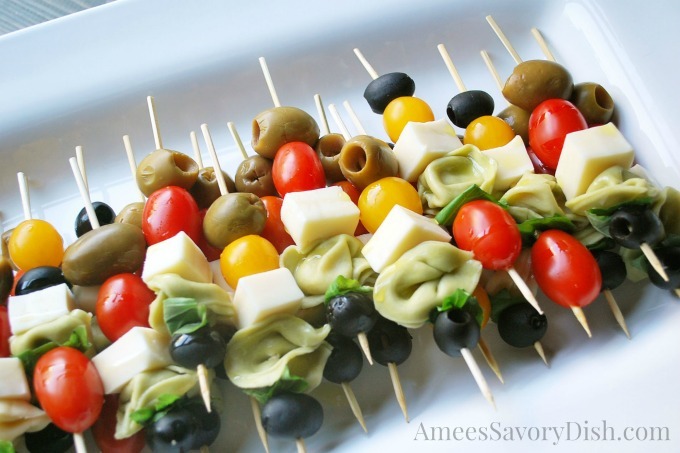 These tasty caprese pasta skewers are so simple to throw together! The only time consuming part of making this dish is assembling the skewers. I used my Favorite Salad Dressing recipe to drizzle on top of the skewers, then drizzled with Fresh Basil infused olive oil. This is a fun recipe to get kids involved, they love threading the items onto the sticks. 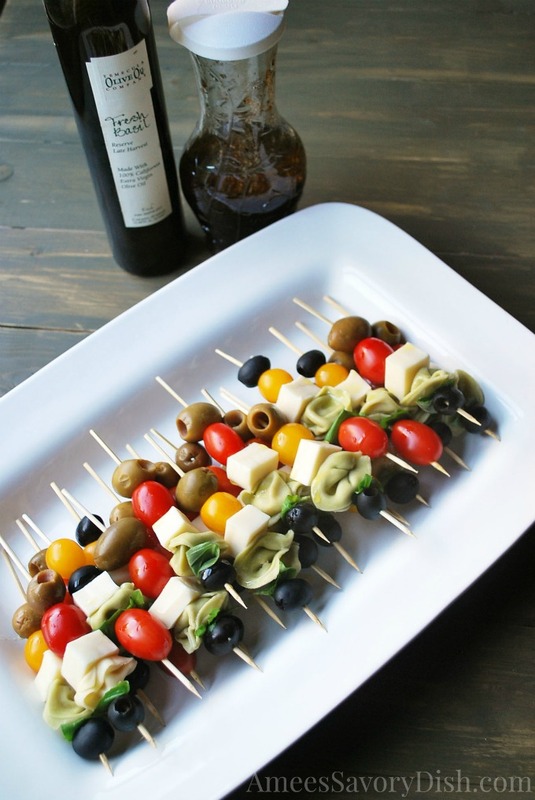 Caprese pasta skewers are a great last-minute appetizer. You don’t have to spend a lot of time in the kitchen to make a good impression at your next summer gathering! Cook tortellini "al-dente" according to package directions and immediately rinse thoroughly in very cold water. Pour dressing over skewers an hour before serving and chill in the refrigerator, covered, until ready to eat. What is your favorite simple appetizer to make for summer parties? I like your skewers. What I like best is there’s no cooking involved. These look great, Amee! So pretty and easy! These sound yummy! Your appetizers look delicious! Hope I get a chance to make some soon. These look delicious! We’re having a cookout this weekend and they just might be on the menu! Thanks for sharing them with us at #FoodieFriDIY…sending some foodie love your way! And you’re going to be featured tonight at the party too! 🙂 Hope to see you at the party tonight! Thank you so much Michelle!!! Excited to be featured!! Some of my favor things on a stick — awesome! I can’t wait to try this delicious recipe!